They have to be Experts out there before we’ll call them Experts in here. SCHEELS Experts are dedicated to helping customers live their passion. 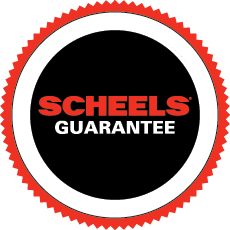 Through rigorous training, in-the-field practice and years of expertise, SCHEELS Experts have the knowledge to help you obtain the skills and products you need to succeed. Every SCHEELS store is staffed with the best and most qualified associates who teach from experience.